I’ve been having trouble sleeping the past few months so I started trying to figure out some natural ways to help me get to sleep easier and stay asleep without waking up several times in the night. I’ve been using my lavender sleepy time spray and doing my magic mixture for sleep too, but needed something more. Adding this DIY Lavender foot soak to my routine has really helped. This DIY Lavender foot soak is very relaxing, relieves stress, and even helps me sleep better. Adding lavender to my Epsom salt foot soaks was seriously the best idea! It has been helping me even more than just the plain Epsom salt foot soaks. 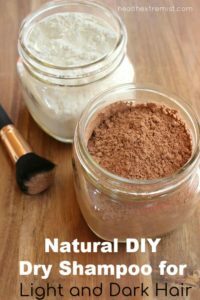 This foot soak is easy to make and you probably already have all the items you need to make it right in your bathroom. Epsom salt foot soaks are known for reducing inflammation, relieving sore muscles and aches, increasing circulation, removing toxins, and increasing your magnesium. Many do Epsom salt foot soaks to relieve stress and relax before bed. Adding the lavender to the foot bath increases all the great benefits of the foot soak. Lavender is often the main scent in sleep remedies. That’s because studies have found it to be effective at reducing heart rate and blood pressure, which makes you more relaxed to get better sleep. Several other studies have also found that those who smell the lavender scent before bed get in to a deeper sleep and report having more energy. This foot soak contains both Epsom salts and lavender making it a great remedy to help you sleep at night. So, whether you’re looking to relax, de-stress, or improve your sleep, this foot soak will be sure to make you feel great and improve your health. I love putting my feet in the foot soak while I watch one of my favorite tv shows before bed while wearing my blue light blocking glasses. You can use this DIY lavender foot soak any time during the day to get the great benefits. Sometimes, I’ll use it after a long day of work or a stressful event to increase my magnesium and de-stress. If you’d like to use the foot soak to improve your sleep, it would be best to use it at night time before bed. That way you get the relaxing benefits of the lavender and Epsom salts to signal your body that its time to sleep. Not only do the lavender and Epsom salt help you get more sleep but so does the warm water too! Soaking your feet in a warm bath before bed also helps you get to sleep better. This is because your body temperature can impact your ability to fall asleep due to its affect on your circadian rhythm. Using the foot soak before bed, will help warm you up and then when you take your feet out, your body cools down which signals your system that it’s time for bed. The decrease in body temperature helps decrease your heart rate and metabolic functions, calming your body for bed time. 2. Use a spoon to mix it. This way the lavender essential oil gets mixed thoroughly. You can also add in the dried lavender flowers too (optional). 3. Fill your large basin or container with warm to mildly hot water; enough to cover your feet up to your ankles. I use a plastic bin like this. 4. Pour the Epsom salt mixture into your basin with water. They will dissolve in the water. Soak your feet for 20 to 45 minutes. It is best to use the DIY lavender foot soak at least once a week. If you want to get the most benefits for helping you get to sleep at night, it is best to use it every night right before bed time. I like doing the DIY Lavender foot soak every night before bed to increase my magnesium and help me get to sleep easier. I’ve only been doing it for a week but, I think it is definitely helping even more than just the plain Epsom salt soaks. It’s a part of my nightly routine now.